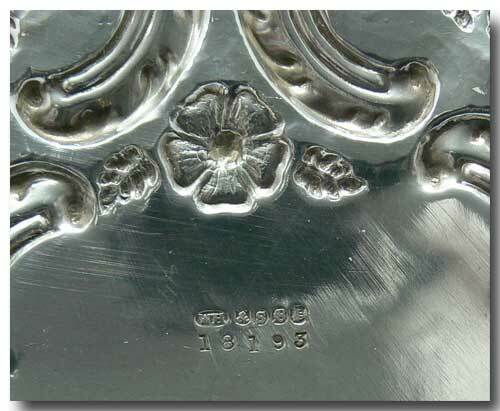 Collectivator :: ANTIQUE WM. 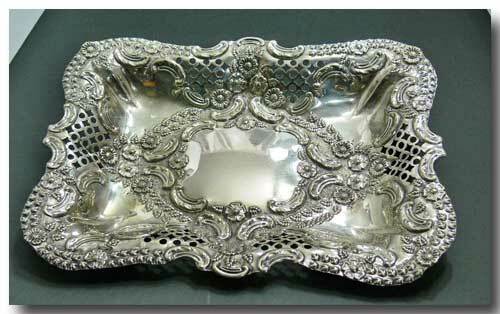 HUTTON & SON, SHEFFIELD EMBOSSED SILVERPLATED TRAY/BOWL . ANTIQUE WM. 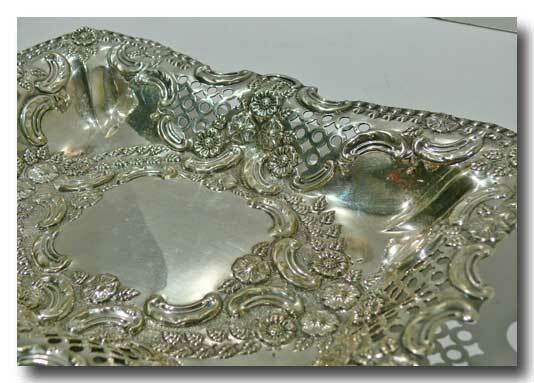 HUTTON & SON, SHEFFIELD EMBOSSED SILVERPLATED TRAY/BOWL. 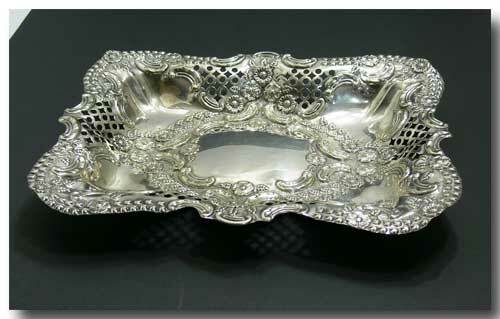 A LOVELY ANTIQUE EMBOSSED TRAY/BOWL FROM WM. 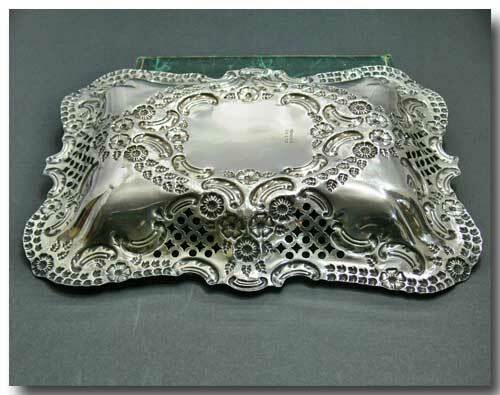 HUTTON & SON, SHEFFIELD, ENGLAND 1864-1893. APPROX: 11 ¼" L. X 8 ½" W.